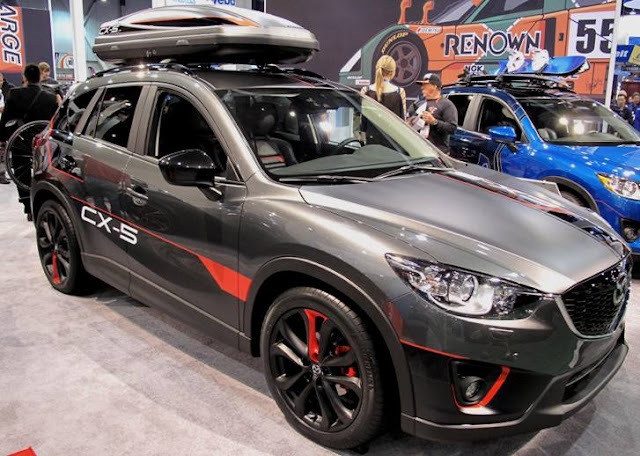 This Patrick Dempsey edition Mazda CX-5 with the new 173 horsepower 2.2-liter diesel Skyactiv engine imported from Europe for the Mazda SEMA display won't be available anytime soon in the U.S. The engine may first arrive on our shores in a different Mazda model, like the Mazda6. The high-power clean diesel offers a low 14:1 compression ratio with an output of 129 kW at 4,500 rpm and 420 nM of torque at 2,000 rpm and is mated to a SKYACTIV-MT six-speed manual transmission. But there is good news for CX-5 fans as a more powerful 2.5 liter gasoline engine will be offered starting in February, to give the CX-5 a more gutsy performance than the current 155 horsepower 2.0 liter engine and without much of a sacrifice in fuel economy. It's a Corvette 427 Convertible Collector Edition with Fieri's name embroidered on the seat headrests. 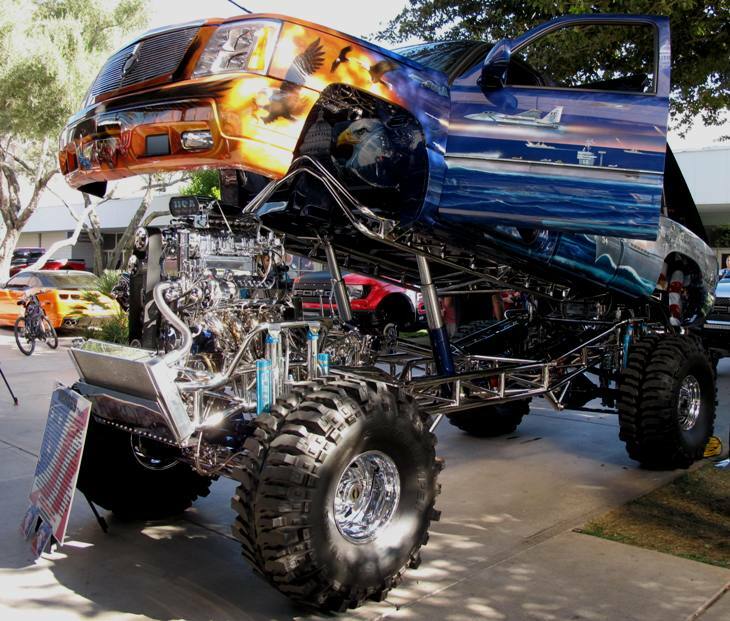 This 2005 Chevy Silverado took 5 years, 50,000 man hours and over 1,200 hours of airbrush artwork to complete. 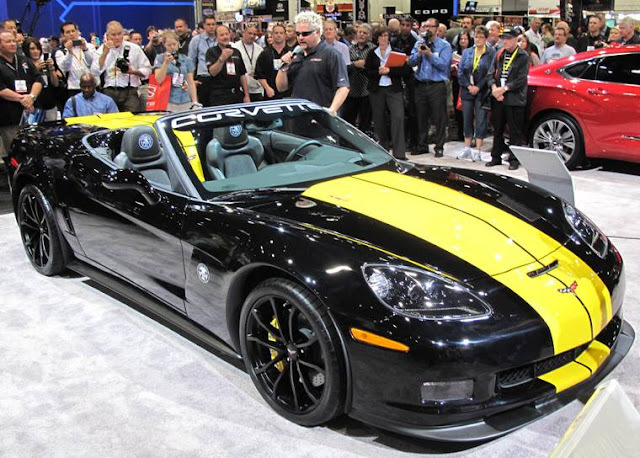 This tribute to American Heroes, with a 540 cubic inch GM powerplant, will be auctioned with no reserve at the Barrett Jackson Auction in Scottsdale, Arizona, January 13 - 20, 2013. The men behind this amazing vehicle put a price of $687,000 on it. For more info call Dale Ison 937-588-2148 or Jeff Cooper 740-821-0800. 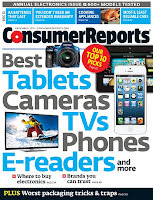 The Consumer Reports 2012 Annual Auto Reliability Survey is out and Toyota's three brands, Scion, Toyota, and Lexus, swept the top spots among the 28 car brands ranked. Of the 27 models in the brand’s lineup, 16 earned the highest rating. The subcompact Toyota Prius C earned Consumer Reports’ top score overall. The hatchback Prius, the larger Prius V, and the new Prius plug-in were also above average. Four other Japanese makes followed in this order: Mazda, Subaru, Honda, Acura. All of the models produced by the top seven brands had average or better reliability. And of the 90 Japanese models reflected in Consumer Reports’ brand comparison, 86 were average or better, with 35 earning the highest rating. Mazda was buoyed by the predicted-reliability score for the new 2013 CX-5 SUV, which is much better than average. And Subaru’s standing improved, with its redesigned Impreza debuting with top marks and none of its models scoring below average. Honda dropped one spot in the ranking, to sixth place, but its worst vehicle, the Odyssey minivan, improved from below average to average. Audi ranked 8th for its best showing ever, moving up 18 spots, making it easily the most reliable European make and the top non-Japanese brand. Next is Infiniti and Kia rounds out the top 10, followed by Cadillac, GMC, Nissan, Mercedes-Benz and Chevrolet at 15th. BMW, Hyundai, Volkswagen, Jeep and Volvo round out the top 20. Buick is 21st with Mini, Chrysler, Dodge and Ram next. The bottom three are Lincoln, Ford and Jaguar. That's right, Ford dropped to next to last while its luxury brand, Lincoln, placed just a notch higher. Only two years ago, Ford was Detroit’s poster child for reliability. "Sixty percent of Ford-branded models and half of Lincolns were below average in predicted reliability, and none placed above average,” said Jake Fisher, director of automotive testing for Consumer Reports. Several factors contributed to Ford’s decline in Consumer Reports’ reliability rankings. A few new or redesigned models, including the Explorer, Fiesta, and Focus, came out of the gate with more problems than normal. Ford has also added the MyFord/MyLincoln Touch electronic infotainment system, which has been problematic so far, to many vehicles. In addition, three historically reliable models—the Ford Escape, Fusion and the Lincoln MKZ—are not included in the analysis; the three were redesigned for 2013 and CR doesn’t yet have reliability data on them. 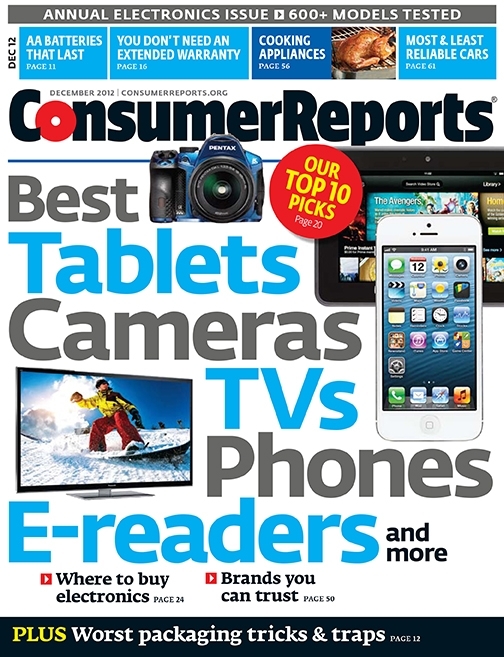 For more details subscribe to Consumer Reports and/or pick up the issue. Ron Hill was honored at the Art Center College of Design in Pasadena where he graduated in 1954 launching a 31 year design career at General Motors followed by 15 years of teaching at his alma mater. Hill joined Art Center in 1985 as Chair of the Industrial Design Department and in 1992 was appointed Chair of the Transportation Design Department, where he stayed until retiring in 2000. Hill explains in this interview that at age 23, fresh out of school, he designed the rear end and fin treatment for the 1957 Eldorado Biarritz. Hill was involved in almost every area of GM’s design projects working in Germany, England and Brazil. As a chief designer at Chevrolet, Pontiac and Buick, he oversaw the mid-engine Corvette and the 1965 Corvair line, along with the 1972 and 1973 LeMans, GTO and Firebird programs, all 1973 and 1974 Buick programs and advanced Chevrolet products and advanced Cadillac projects such as the Eldorado. Hill and his team designed the forerunner to the 1978 Monte Carlo, new Camaro/Firebird designs, small car projects such as the Chevette, and the original concept vehicle for the Pontiac mid-engine Fiero project, which earned him the Industrial Design Society of America Award for Design Excellence in 1984. Clay Dean, Executive Director, GM Advanced Global Design and Cadillac Brand Director is responsible for General Motor's forwarding looking concepts and strategies for advanced transportation solutions with a focus on brand building. Clay discusses his visit to the Art Center College of Design Inspired Design Car Classic and what we can expect from GM, specifically Cadillac and Chevy at the upcoming Los Angeles and Detroit Auto Shows. Clay works out of studios in North Hollywood, California, as well as the UK and Warren, Michigan. He also acts in a Cadillac brand champion role as a liason between Design and Marketing determining product & brand strategy and influencing communications events, activities and product technologies. Many of the world's outstanding car designers are graduates of the 82 year old Art Center College of Design in Pasadena, California. 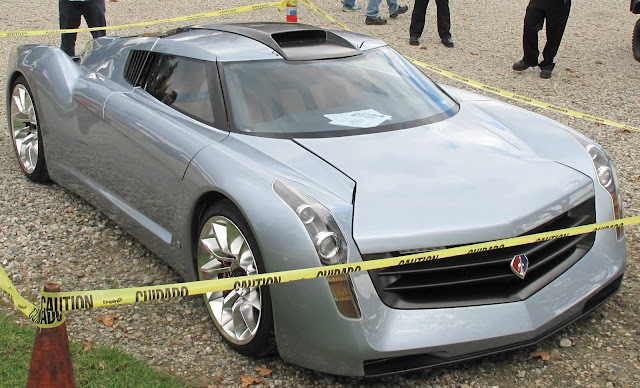 Each year they hold an event with a carefully selected wide array of vehicles that have inspired designs and designers and today ranged from a 1914 Ford to 2013 models and future concept cars. Stewart Reed, Chairman of Transportation Design Art Center College of Design, discusses the 11th annual "Inspired Design" Art Center Car Classic. Reed, a graduate of the Art Center, worked at Chrysler Advanced Design, where he introduced a mini-van concept, at Toyota’s U.S. studio, Calty Design, as chief designer and Prince Corporation, (now Johnson Controls), as Vice President of Design. 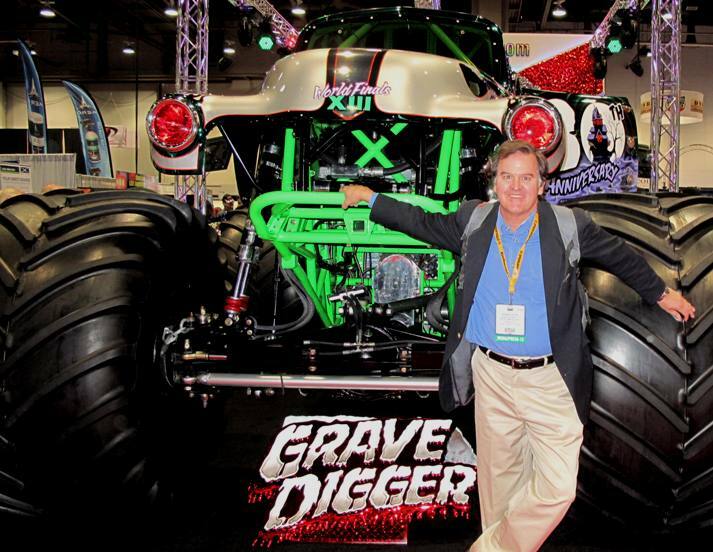 Reed has designed and fabricated over 20 concept vehicles throughout his career. 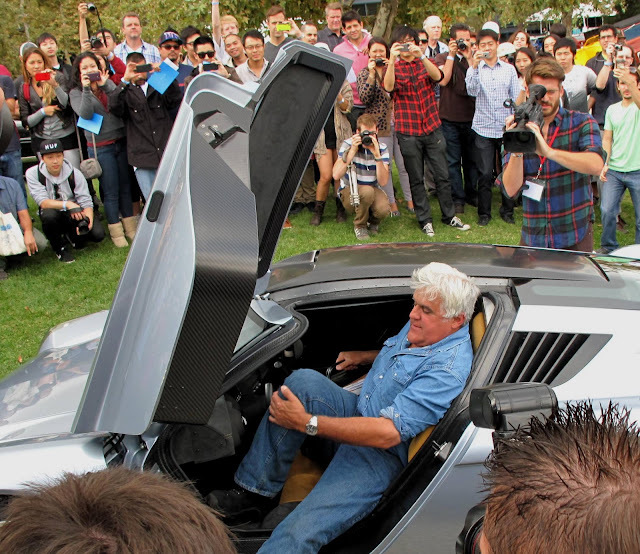 Jay Leno arrived at a car event in Pasedena in his 650 horsepower Honeywell LT-101 turbine engine Ecojet car which is made from a modified Corvette Z06 hydroformed aluminum frame that was first unveiled at the 2006 SEMA Show in Las Vegas. The loud Ecojet that spews jet fumes is constructed from carbon fiber over Kevlar and is not that easy to exit as Jay showed us today. 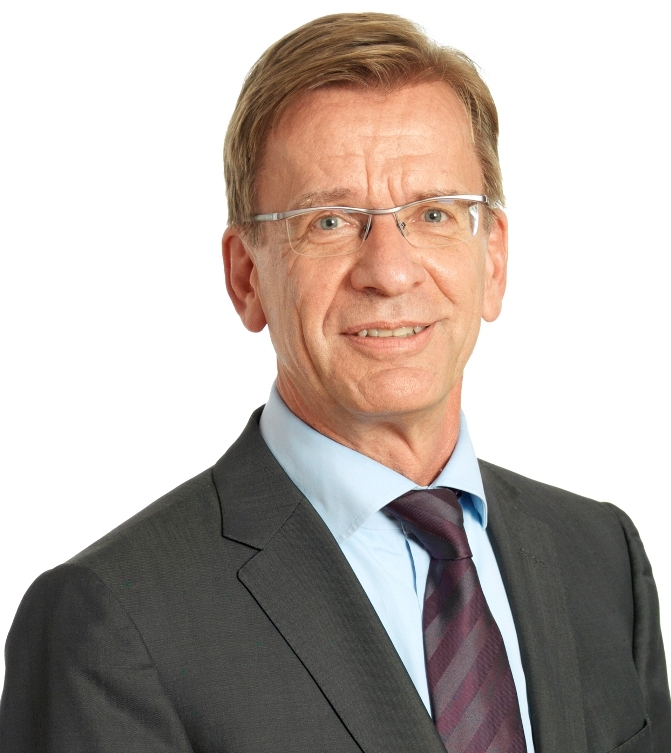 Håkan Samuelsson, a current Board member, becomes the new President & CEO of Volvo Car Group effective immediately replacing Stefan Jacoby who will leave following "an amicable agreement" with the Board of Directors. Håkan Samuelsson has 35 years of experience in the automotive industry leadership positions, most recently as Chairman & CEO of MAN SE, a European supplier of trucks, buses, diesel engines, turbo-machinery, and special gear units, between 2005 and 2009. Since 2010 he has been an independent member of the Board of Directors of Volvo Car Group. 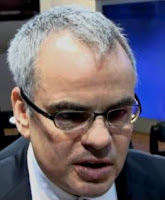 Jan Gurander, Volvo’s chief financial officer, stepped in as acting CEO when Jacoby had a mild stroke last month. Gurander and sales chief Doug Speck handled Jacoby’s media responsibilities at the Paris Auto Show September 27th and 28th. We wish my good friend Stefan Jacoby the best for a speedy recovery. The Endeavor, one of just three of five space shuttles left that went into orbit and the last built, recorded 25 missions in 22 years circling the Earth 4,671 times spending 299 days in space. It took Endeavor two days to go the last 12 miles from LAX to the California Science Center in downtown Los Angeles to cap it's 123 million mile journey. Some 400 trees had to be cut, power poles were moved, 2,700 steel plates were laid on parts of the route so underground water and sewer systems didn't feel the 80 ton weight of the shuttle and its transporter moving down the road at 2 miles an hour. More than 1,000 police officers and 200 firefighters helped Endeavor maneuver through the city past about a million spectators. The 2013 Scion iQ EV battery-electric 4-seater city commuter car designed for car-sharing programs, in urban and campus environments has arrived in the U.S. after production began in Japan last month. The iQ EV has high-output lithium-ion battery which, in ideal stop and go driving conditions, allows the 12 kWh battery to provide an estimated range of up to 50 miles on a full charge. To fully recharge takes approximately 3 hours at 240V. Maximum output from the drivetrain is 47 kW (63 hp) with a maximum torque of 120 lbs.-ft. 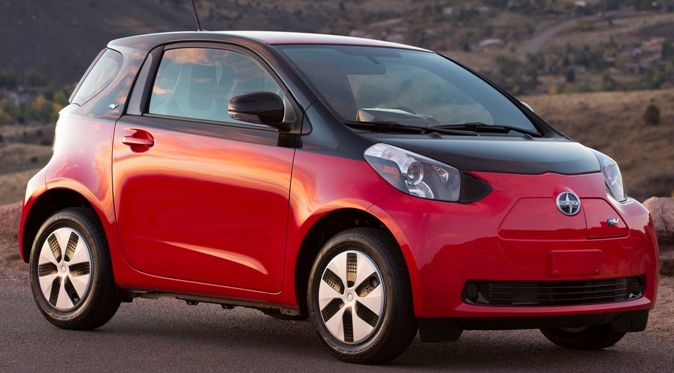 In S range the iQ EV accelerates from zero to 60 mph in 13.4 seconds, and from 30 to 50 mph in 7 seconds. Its top speed is 78 mph. Its short 78-inch wheel base is 4.5 inches longer than the smart fourtwo, presumably to make room for the back seat, but will be still highly maneuverable in congested urban areas and ideal for tight parking spots. Approximately 90 iQ EVs will be available for fleet and car-sharing applications while the competitor, albeit a 2-seater, 2014 smart fourtwo electric drive (ED) arrives in the Spring, also in limited supply. The all-new 2013 Mazda6 wagon (known as Atenza in Japan) was introduced in Paris last month at the same time the 2013 Mazda6 sedan was being shown in Moscow and will go on sale in Europe later this year. Both models feature Mazda's new SKYACTIV-D 2.2 clean diesel engine which many of us are hoping will make it to the U.S., possibly in the CX-5 SUV, to give us affordable long range, high speed, highway fuel efficiency. They've announced we'll see the diesel engine in the 24 Hours of Le Mans next year. The SKYACTIV-D 2.2 diesel engine is available in either Standard Power or High Power versions and both engine types comply with Europe's Euro 6 emissions standards. The new Mazda6 will also be available with the SKYACTIV-G 2.0 and SKYACTIV-G 2.5 direct injection gasoline engines. Is the 1960s station wagon making a resurgence? Duh... crossovers. Will diesel catch on in the U.S. like it has Europe? If they are offered in more models like affordable SUVs. The 2013 Volkswagen Jetta Hybrid, powered by an all-new 1.4-liter turbocharged and direct-injected TSI® engine coupled with a 27 horsepower zero-emissions electric motor mated to a seven-speed DSG® dual-clutch automatic transmission, will be available starting at $25,790 (including $795 destination charges) this month, so anytime. The Jetta Hybrid has a combined output of 170 horsepower and 184 pound-feet of torque. The Jetta Hybrid can be driven in pure electric mode at speeds of up to 44 mph and for a distance of up to 1.2 miles, depending on operating conditions with a manufacturer estimated combined fuel economy of 45 miles per gallon. The 2013 Jetta Hybrid SE starts at $27,785.The Hybrid SEL has an MSRP of $30,120. The Hybrid SEL Premium retails for $31,975. The all-new, second-generation Mercedes-Benz GL-Class sport utility, built in Tuscaloosa, Alabama, has won the 2013 Motor Trend Sport/Utility of the Year® award. The GL model lineup for 2013 includes the 240 horsepower GL350 BlueTEC turbodiesel, the 362 horsepower GL450, the 429 horsepower GL550 (above) and the high-performance 550 horsepower GL63 AMG. The GL-Class, which also won the 2007 Motor Trend Sport/Utility of the Year® award, is measured against six criteria by Motor Trend – advancement in design; engineering excellence, efficiency, safety, value and performance of intended function. The GL-Class beat out 10 other of the latest SUVs that were tested. The new GL-Class has COLLISION PREVENTION ASSIST, which uses a dedicated radar sensor to monitor the distance to a vehicle in front and to stationary objects. If the system senses a risk of imminent collision, it pre-charges the brakes and alerts the driver with a warning beep and flashing light on the dash. The new GL-Class also has ATTENTION ASSIST, ADAPTIVE BRAKE technology, mbrace2 telematics and Crosswind Stabilization. Slightly longer, wider and taller than the first-generation SUV, new features include a COMAND control knob, a color instrument cluster display, power liftgate, and a 115-volt outlet under the second-row seats. Among the new GL options are an ACTIVE CURVE system, On/Off-Road Package, Active Parking Assist, Active Lane Keeping Assist, a 360-degree Surround View camera, Panorama Roof and power EASY-ENTRY for third-row passengers. The GL-Class starts at more than $62,000. Nick Cappa, Chrysler Communications Manager, discusses some of the features of the 2013 Ram pick-up truck. The 2013 Ram 1500 is now available in nine trim levels and starts at $23,585 (including a $995 destination charge) and delivers fuel economy of 18 MPG city and 25 MPG highway from its 305 horsepower 3.6-liter V-6 engine that comes standard with an eight-speed automatic transmission. A 395 horsepower 5.7-liter HEMI® V-8 with Fuel Saver Technology and variable-valve timing (VVT) is also available. 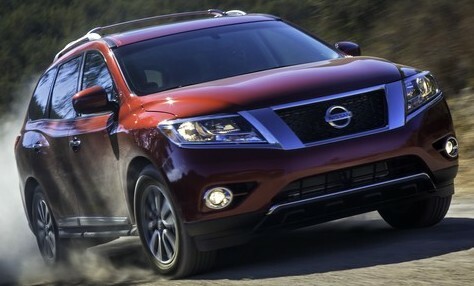 The totally redesigned 2013 Nissan Pathfinder SUV, with a 260-horsepower 3.5-liter DOHC V6 engine matched with a next-generation Xtronic CVT® (Continuously Variable Transmission) will have a starting price of $28,270 when it goes on sale at U.S. Nissan dealers nationwide in later this month.That's $1,020 less that the 2012 model's starting MSRP. The 2013 Nissan Pathfinder is available in 4WD and 2WD drive configurations and in four models: S, SV, SL and Platinum. 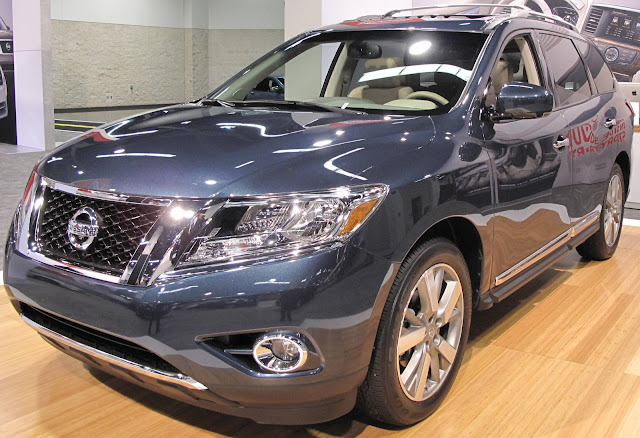 The Pathfinder S 2WD starts at $28,270, the Pathfinder SV 2WD at $31,530, the Pathfinder SL 2WD at $34,470, the Pathfinder Platinum 2WD at $39,170, the Pathfinder S 4WD at $29,870, the Pathfinder SV 4WD at $33,130, the Pathfinder SL 4WD at $36,070 and the Pathfinder Platinum 4WD at $40,770. There's relief in sight - Governor Jerry Brown ordered the Air Resources Board to allow the early switch to the higher-polluting winter-blend gasoline which is not only easier to refine but enables California to import it from other states to alleviate supply issues and bring down the price that skyrocketed $1 a gallon last week. As California refineries age, more problems will arise and they are. The State which normally allows only summer-blend gas to be sold until the end of October, will switch to winter-grade gas immediately. An August 6th refinery fire at Chevron's Richmond facility in Northern California and a power failure at Exxon Mobil's Torrance operation a week ago in Southern California contributed to the shortage and price spike. There's also talk that gas market traders influenced the price hike. September’s monthly national average of $3.83 was the most expensive ever for the month. The previous record-high average for September was $3.72 a gallon in 2008. 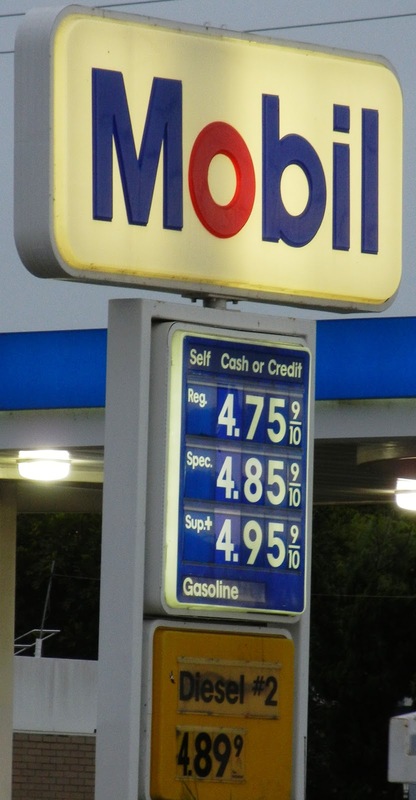 Gas prices this September cost 14 cents more on average nationally than in August. The monthly average pump price this August was $3.69 a gallon. 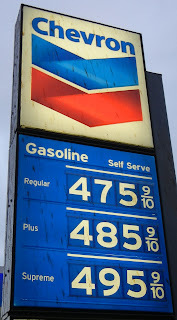 Gas prices in 2012 are on track to be the most expensive ever. The average price of gas so far in 2012 is $3.64 a gallon, which compares to the existing annual-average high of $3.51 from 2011. 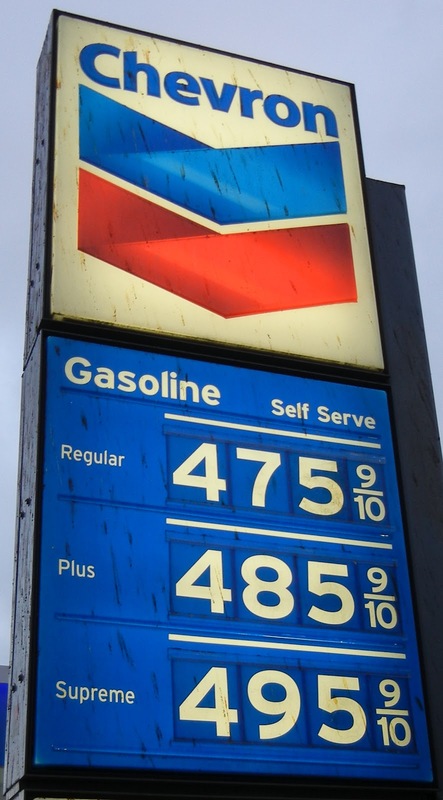 Today's current average price of regular gasoline in California is $4.668 per gallon which compares to South Carolina's $3.486. The Orange County International Auto Show opened yesterday afternoon and runs through Sunday at the Anaheim Convention Center across from Disneyland. Though it's a consumer show, without World and North American debuts, there are a lot of new cars to see, some have just gone on sale and others not yet. 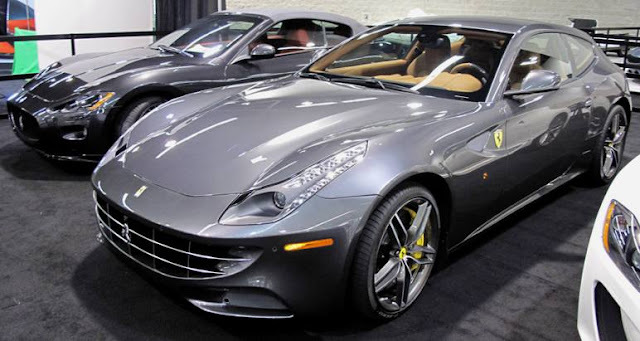 The Ferrari FF, (above) FF as in the Ferrari Four. Four as in four-wheel drive and four seats. The V12 FF was introduced in Geneva in March. The Lexus LFA is sold out, all 500 gone at a starting MSRP of $375,000. 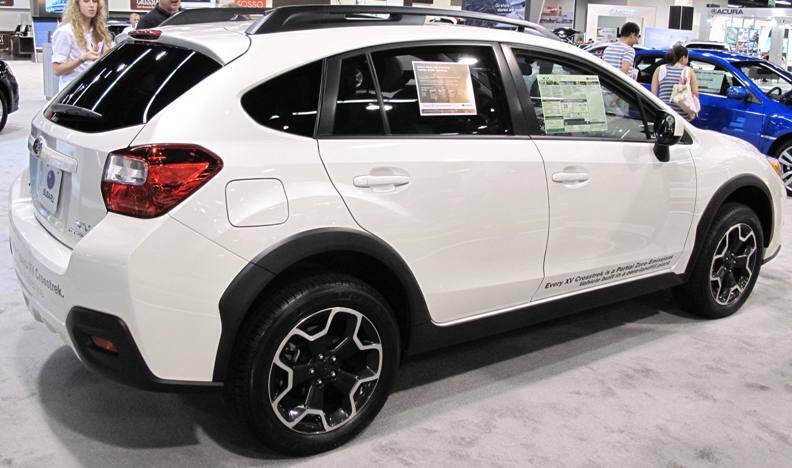 The value star of the show is the 2013 Subaru XV CrossTrek starting at $21,995 and shown here, the Premium edition at $27,000 and change. The Lexus LS460 F Sport sedan arrives in November and we're guessing at around $80,000, based on the fact that the 2012 LS 460 starts at around $68,000. The 2014 Chevy Impala, introduced in New York in April, hits showrooms in the Spring on next year. Ford has made a huge investment in the OC show offering test drives of the C-Max hybrid and Focus EV and, in exchange for your opinion, you get a $10 food voucher. 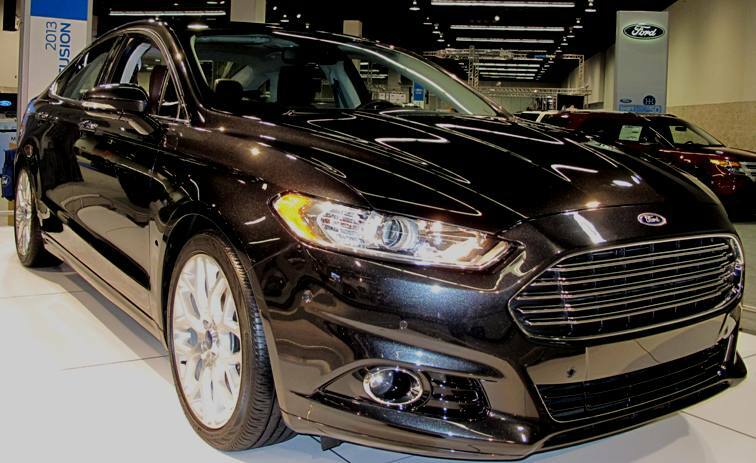 The 2013 Ford Fusion (above) is on display. Lincoln is showing off their new MKZ sedan that starts at $35,925. The 2013 Honda Accord, starts at $22,470 and is on the OC show floor. Nissan has the all-new Sentra (above) and Pathfinder (below). Kick the tires, check out all the vehicles and have fun test driving! Then give me your thoughts. 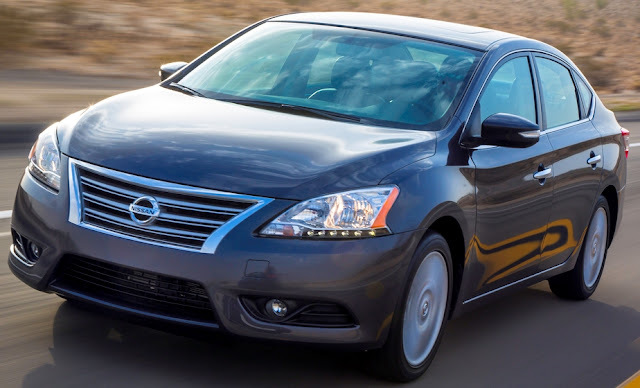 The all-new 2013 Nissan Sentra compact sedan, five percent lighter than the outgoing model, will be priced lighter as well, starting from $15,990 for the Sentra S manual transmission model and running up to $19,760 for the Sentra SL with the CVT gearbox when it goes on sale October 16th. 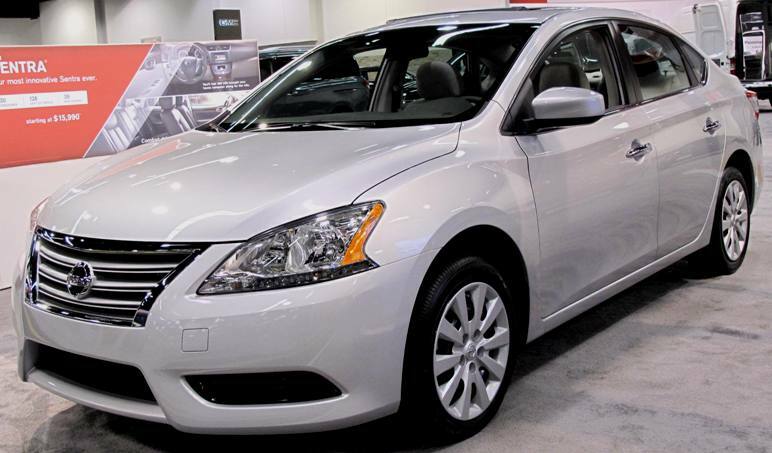 The 2012 Sentra starts at $16,430 so the price has come down for the new model. General Motors reported its highest September U.S. sales since 2008 selling 210,245 vehicles, up 1.5 percent compared with a year ago. GM's year-to-date total sales of 1,967,715 is a 3.4 percent rise over 2011. Ford Motor Company September sales of 174,976 was a one tenth of a percent decline from September 2011 and year-to-date sales of 1,689,814 is up 5.4 percent from the first 9 months of last year. Toyota Motor Sales, U.S.A. reported September 2012 sales results of 171,910, an increase of 41.5 percent compared to the same period last year. Year-to-date Toyota sales are 1,571,424, up 31.6 percent over the first nine months of 2011. The Toyota Division posted September total sales of 151,524, an increase of 42.3 percent for a year-to-date total of 1,400,434, a 32.3 percent gain while Lexus division sold 20,386 vehicles in September, up 36 percent and so far in 2012 has sold 170,990 vehicles for a 26.1 percent increase over 2011. Chrysler reported U.S. sales of 142,041, a 12 percent increase compared with sales in September 2011, and the best September sales since 2007. Year-to-date sales of 1,250,670 is a 24 percent jump over last year. American Honda September 2012 U.S. sales of 117,211, an increase of 30.9 percent compared with September 2011. 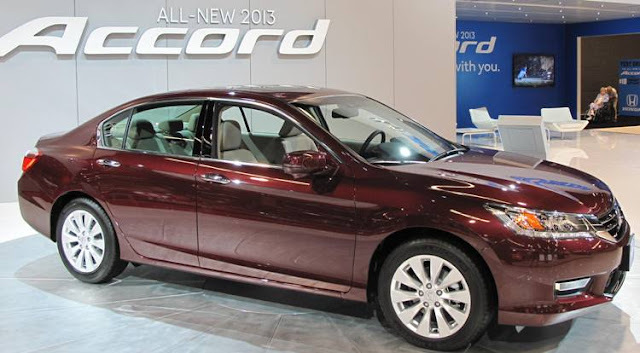 The Honda Division posted September 2012 sales of 102,845, an increase of 29.3 percent compared with September 2011. Acura's U.S. September sales of 14,366 was an increase of 43.5 percent compared with September 2011. Year-to-date Honda has sold 1,066,458 vehicles, up 24 percent over 2011. Nissan North America reported September U.S. sales of 91,907, down 1.1 percent. Nissan Division sales of 82,462 was a decrease of 2.4 percent while Infiniti sales vehicles were 9,445, up 11.4 percent over the prior year. Year-to-date Nissan sales are 866,484, up 11.9 percent. Hyundai Motor America reported a record of 60,025 sales for September, up 15 percent for the month and 539,814 sales for the first nine months of the year versus 2011, up 10 percent. Kia Motors America September sales of 48,105 was a 35.1 percent increase over the same period in 2011. Year-to-date Kia sales of 434,914, is an 18.4 percent gain over 2011. Volkswagen of America reported September sales of 36,339, a 34.4 percent increase over prior year sales, the best September since 1972, and year-to-date sales of 323,089 was a 37.2 percent increase over 2011. Separately, Audi of America reported its 21st consecutive month of record performance with sales of 12,302, a 26.5 percent increase above the old mark set in September 2011. Total Audi sales year-to-date of 100,694 was a gain of 18.5 percent from last year, a year-to-date record. Subaru of America reported sales of 27,683 vehicles for the month of September, a 32 percent increase over September 2011. Subaru also reported year-to-date sales of 245,463, which represents an impressive 25.5 percent increase over prior year. The BMW Group in the U.S. (BMW and MINI combined) reported September sales of 26,660, an increase of 3.5 percent from the 25,749 vehicles sold in the same month a year ago. Year-to-date, BMW Group is up 7.1 percent on sales of 234,928 in the first nine months of 2012 compared to the same period in 2011. Mazda North American Operations reported September U.S. sales of 24,135, a decrease of 5.4 percent versus last year. Year-to-date sales of 209,482 through September are up 9.5 percent versus last year. Mercedes-Benz USA reported record September sales of 23,156 for its Mercedes-Benz models, up 7 percent, delivering a record year-to-date total of 191,618 new vehicles to customers, up 12.7 percent. Combined sales of Mercedes-Benz passenger vehicles, smart and Sprinter for the month totaled a record for MBUSA of 25,980, up 8.7 percent bringing the year-to-date total to 214,331, up 16.7 percent. Mitsubishi sales were 4,806, down 17.2 percent compared to September 2011. Porsche Cars North America announced September 2012 sales of 2,736, an increase of 26.1 percent. For the year, Porsche has sold 25,015 cars in the U.S., a 10.4 percent increase over last September's year-to-date sales. American Suzuki reported September 2012 sales of 1,921 units. The Maserati GranCabrio MC (above), the all-new Maserati Quattroporte luxury sedan, the new Ghibli high-end E segment four-door sedan and the Levante luxury SUV developed from the Kubang concept (below) will give Maserati a completely new scope to produce 50,000 units per year by 2015. 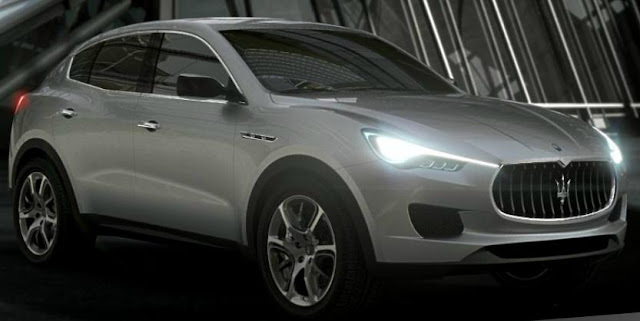 Currently, there isn't a Maserati model with a sticker price of less than $123,000 and all are powered by a 4.7 liter V8 that kicks out about 440 horsepower. MINI Paceman, the seventh model in the MINI line-up, is a two door, four-seater premium compact with a choice of a 121 horsepower 1.6-liter engine and a 181 horsepower twin-scroll turbocharged powerplant with direct injection mated to a six-speed automatic transmission as an option. The lowered sports suspension is standard and the MINI ALL4 all-wheel-drive system is available for the MINI Cooper S Paceman. The MINI Paceman arrives in March 2013. The new Jaguar F-TYPE rear-wheel drive, two seat, convertible sports car will be offered in the base F-TYPE with a new 340 horsepower 3.0-liter V6 supercharged gas engine, the F-TYPE S with a 380 horsepower version of the new 3.0-liter V6 and F-TYPE V8 S powered by a 495 horsepower 5.0-liter V8 supercharged engine, all mated to an eight-speed 'Quickshift' transmission with both a centrally mounted SportShift selector and wheel-mounted paddles offering full manual sequential control. All engines feature stop/start technology.